The Goregaon Service Centre is in line with DPDHL Group’s climate protection goal of reducing emissions to net zero by the year 2050. 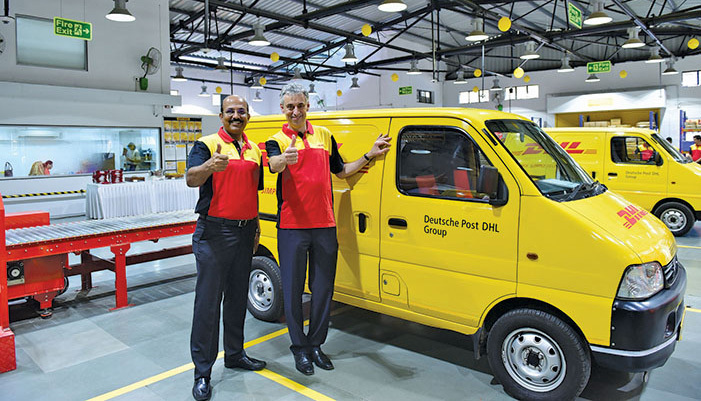 Frank Appel, CEO, Deutsche Post DHL Group has inaugurated in India the first DHL Express Service Centre in the Asia Pacific region powered by solar energy. Located in Goregaon, Mumbai, the 25,000 sqft facility uses solar-powered panels that reduce the consumption of grid electricity by 30 per cent. To further support growth in the country, over the next three years, the company also plans to invest close to €45 million in new upcountry developments, upgrading and expanding its infrastructure and bolstering its retail presence. The centre is the company’s 45th service centre in the country, and the sixth in Mumbai, in addition to the existing centers in Andheri, Byculla, Thane, Vashi and Vidyavihar. The facility, which will enhance pickup and delivery network capabilities for DHL in Mumbai, continues the ongoing DHL Express commitment to invest in infrastructure, fleet, technology and people, to deliver high quality time definite delivery services to its customers. 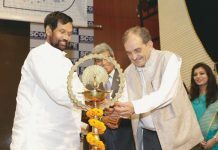 • Company’s 45th Service Center in India reduces grid electricity consumption by 30 per cent. • Plans to invest approximately €45 million to further support growth in India with upcountry expansions, upgrades and bolstering of retail presence.